We’d love your help. Let us know what’s wrong with this preview of Twelve Months of Awkward Moments by Lisa Acerbo. Dani’s wild roommate and handsome best friend hate each other; her crazy family won’t leave her alone; and Dani can’t wait for senior year at college. A straight-A scholar whose anxiety is a daily struggle, being awkward, introverted, and studious has become a way of life. She vows this year will be different. It’s time to move beyond her comfort zone, but that’s not easy. To ask other readers questions about Twelve Months of Awkward Moments, please sign up. Looking for THAT read that will move your emotions, test your grit and open your eyes to a struggle that millions face on a daily basis? Lisa Acerbo’s TWELVE MONTHS OF AWKWARD MOMENTS is that book. This is NOT a gentle walk in the park, it is the story of one woman’s struggle to re-enter the human race, to function and find a sense of inner peace that will allow her to know more than awkward moments in life. Dani was the “Good Girl.” She was the studious one, an introvert, the last person who sho Looking for THAT read that will move your emotions, test your grit and open your eyes to a struggle that millions face on a daily basis? Lisa Acerbo’s TWELVE MONTHS OF AWKWARD MOMENTS is that book. This is NOT a gentle walk in the park, it is the story of one woman’s struggle to re-enter the human race, to function and find a sense of inner peace that will allow her to know more than awkward moments in life. Dani was the “Good Girl.” She was the studious one, an introvert, the last person who should have a stalker. Dani also suffers from anxiety attacks, socially crippling. Lacking any real support from her dysfunctional family, she fails in relationships and over worries the “right way” to find the right partner and keep them. Her goal is to be “normal.” But what is normal? Her life is one awkward moment after another. Her internal pain is brutal. 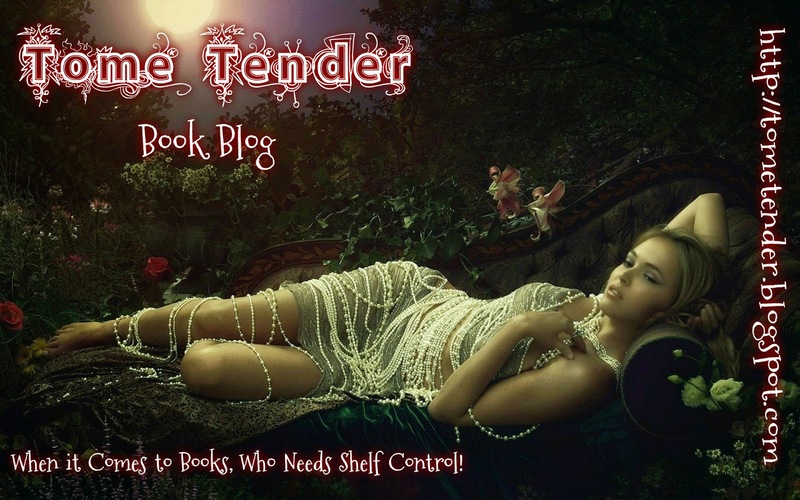 Told through Dani’s eyes and mind, each page is taut, the tension is razor sharp and we are seeing life as she does. We hear her thoughts, her reactions, her “knowing” she is unable to see life as less awkward. Throughout, we hear about Jace, her last boyfriend and her best friend Kyle, who is her rock, who sees more in her than others. We also meet her best girlfriend, Tanya, who is Dani’s opposite, who encourages her to take chances, to date, to learn to enjoy life, not analyze each moment for flaws. Certainly not light reading, it is definitely gripping as we watch Dani try to navigate a world that she doesn’t fit into. Then we watch as her torment is heightened by a stalker…and she journals every day, so we see firsthand what Dani feels, how she struggles to step out of her comfort zone, but can she or will an unknown evil thwart her every attempt? Lisa Acerbo has nailed the “human” side of storytelling with depth, emotion and a feeling that Dani could be someone we know or saw on the street and we never knew she was struggling so hard. Highly recommended reading from a very gifted author. I received a complimentary ARC edition from Lisa Acerbo! Connecticut author Lisa Acerbo is a high school teacher and adjunct faculty at Norwalk Community College. Her published works include WEAR WHITE TO YOUR FUNERAL, NO TROUBLE AT ALL, APOCALIPSTICK, MYSTERY MAN IN THE LEATHER HAT, ALMOST WONDERFUL, THE LEATHERMAN COMES TO TOWN and now TWELVE MONTHS OF AWKWARD MOMENTS. Much of the success of this successful novel comes from the eloquent writing style of the author. She is most assuredly an author to watch. Twelve Months of Awkward Moments is a new adult romantic suspense by Lisa Acerbo. This book sent me on an emotional roller coaster ride. First, it wasn't at all what I expected it to be. I knew there was a stalker involved, but I didn't know too much more than that other than it was set at a college. I was expecting this to be a light romantic suspense story, heavy on the romance. And I have to tell you, this is a not what I would call a light read. It was much more intense than I was expecting. It took me a while to get my bearings with this novel, but I ended up enjoying the story. The best part of Twelve Months of Awkward Moments were the characters. I absolutely loved Dani. I am going to be 100% honest with you. If I didn't love Dani so much, and if I didn't find her so relate able, this book would have taken me a lot longer to get through. I'm not even sure if I would have finished it. It's not that the book is not good. It is good, it was just a lot heavier than I was expecting. But I had to know what was going to happen in Dani's life. She pulled me in. Twelve Months of Awkward Moments is told from her perspective, which was a big winner for me. The book does live up to the title as well. There are plenty of awkward moments that Dani faced in her senior year of college. And it was refreshing to see a plot that was not 100% predictable. Twelve Months of Awkward Moments felt unique in a really good way. Fans of romantic suspense, and books that tackle some serious issues will really enjoy Twelve Months of Awkward Moments. And I think you will fall in love with Dani like I did. She is a character that I feel will really resonate with a lot of readers. You can't help but fall in love with her and you can't help but to root for her. This was one of those books which you’re planning to read just a few pages of, just to see if you like it, and then two hours later you’re still reading even though you have a bunch of other things you were supposed to do. This is also one of those books that you think about even when you’re not reading it, and you keep trying to figure out ways to cancel other activities just so you can get back to it. I absolutely LOVE when a book catches me by surprise like this and I’m s This was one of those books which you’re planning to read just a few pages of, just to see if you like it, and then two hours later you’re still reading even though you have a bunch of other things you were supposed to do. This is also one of those books that you think about even when you’re not reading it, and you keep trying to figure out ways to cancel other activities just so you can get back to it. I absolutely LOVE when a book catches me by surprise like this and I’m so sucked in I don’t even notice time passing. I also love it when said book includes an awesome main character who is super relatable, and a plot that honestly defies my expectations. Throughout the story I was constantly trying to guess who the stalker was, and then changing my mind and guessing again. To me, this is the sign of an author who really knows what she’s doing, and also a sign that I’ll probably be rereading this book down the road because I got so much enjoyment out of it the first time. I found this book to be super entertaining and it kept my interest from start to finish. It was not your typical college romance story and had many elements that made it dynamic. I really resonated with the main character and found her experiences both humorous and relatable as a recent college graduate myself. Despite that, I think this book is great for readers of many ages and would definitely recommend it. Twelve Months of Awkward Moments follows college student, Dani, through a difficult senior year. This NA novella is more of a coming-of-age story than any other genre. Dani comes from a troubled family. Her parents are divorced. Her father suffers from excessive paranoia. Her uncle suffers from an unnamed mental illness. Dani herself is battling with anxiety. At the start of the story, it is hard not to feel Dani’s pain and loneliness mixed in with her fear, negativity and worry about her future. Twelve Months of Awkward Moments follows college student, Dani, through a difficult senior year. This NA novella is more of a coming-of-age story than any other genre. Dani comes from a troubled family. Her parents are divorced. Her father suffers from excessive paranoia. Her uncle suffers from an unnamed mental illness. Dani herself is battling with anxiety. At the start of the story, it is hard not to feel Dani’s pain and loneliness mixed in with her fear, negativity and worry about her future. Author Lisa Acerbo’s early portrayal of Dani is moving and respectful of those with anxiety disorder. Authentically, Ms. Acerbo has Dani shun her prescribed medication and turn to self medication (alcohol) when she returns to school. While Dani’s mental health made her very empathetic, her behavior and attitude toward her family—especially her response to a family tragedy—made her less likable to me. Dani is described as an awkward introvert, yet she spends a great deal of the book looking for love in all the wrong places, including Tinder and the office. I just couldn’t reconcile those attributes. Once Dani starts her senior year, I felt the depiction of her anxiety diminish in authenticity. I loved her friends’ support of her throughout the story. Both her roommate, Tanya, and declared best friend, Kyle, seem to understand her issues and accept her unconditionally. The book starts with a frightening scene that sets the expectation for a tense thriller, however, Ms. Acerbo didn’t deliver on the intensity. If the book is intended for older high school to early college aged readers, the toned-down suspense relative to a young woman being stalked may be appropriate. However, for me, the detailed daily existence prose didn’t increase the sense of impending conflict, and it didn’t portray Dani as being crippled by her anxiety; it just showed her poor decisions pertaining to her social life and her disdain for her family and her jobs. Overall, a lightweight, but respectful treatment of anxiety and a mild thriller that can easily be read in one seating. The writing is technically good, but the storytelling could be punched up with increasing dread and a bigger story zenith. The denouement is a positive end (or beginning) for Dani without much of a resolution regarding the main story conflict. With her awkward family demanding her time and her friends pushing her to be more social, Dani faces her toughest challenges yet. Her physiatrist wants her to move past her comfort zone and sta Dani is starting her last year of college. She is determined to become completely independent. She is a A scholar who has anxiety issues that she battles on a daily basis. She is an introvert who struggles to leave her comfort zone. With the help of her best friends Kyle and Tanya she has survived so far. This book was a steady read. Not really a thriller, but does have some suspense and a bit of danger in it. This book will reach down into your soul. You can't help but feel for the Dani and love her. There were times when I felt she was blind to some things going on in her life, but she figures it out. Dani is a college student who struggles through daily anxiety. In fact, mental illness might just be hereditary for her, since her family is not exactly normal. To make matters worse, she now has a stalker. In this story, we see Dani navigate her awkward life with the help of her more outgoing friends. I was very interested in reading this book, and although it wasn’t quite what I expected, it still kept me turning the pages. Based on the synopsis, I expected the stalker to be a larger aspect of this book. It wasn’t, though, and I didn’t mind as much as I thought I would. I’ll admit that the first fifty or so pages (maybe more) were the hardest for me to get through, simply because they felt so slow. I’m usually the kind of person to finish books like these in a single seating, but I couldn’t do that for Twelve Months of Awkward Moments. That said, things did get much better eventually, and I was able to get into the story and finish it quickly. Once I got into the story, I found it to be very entertaining. I don’t have any personal experience with severe anxiety, but I thought the author’s portrayal of Dani’s feelings were well delivered. I enjoyed Dani’s awkwardness, and felt a lot of second-hand embarrassment, which doesn’t happen often. In a nutshell, if you don’t mind going through a few slow pages in the beginning, you’ll find that Twelve Months of Awkward Moments is worth your time. Lisa Acerbo creates a story centered on Dani, a girl beginning her senior year in college. Twelve Months of Awkward Moments recounts the efforts she takes to handle her anxiety while obeying her therapist’s advice to date more. Dating comes easy for some, but Dani seems to attract guys on the verge of creepy. Her friends, Tanya and Kyle, have to help keep her focused and rescue her from one of these guys who stalked her. 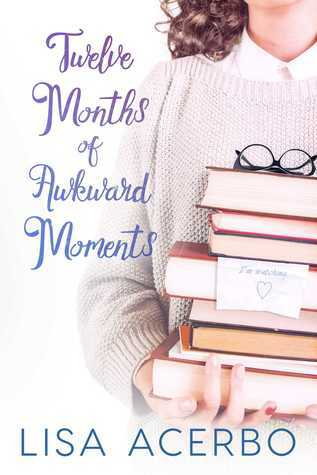 Twelve Months of Awkward Moments has the typical college setting and the hor Lisa Acerbo creates a story centered on Dani, a girl beginning her senior year in college. Twelve Months of Awkward Moments recounts the efforts she takes to handle her anxiety while obeying her therapist’s advice to date more. Dating comes easy for some, but Dani seems to attract guys on the verge of creepy. Her friends, Tanya and Kyle, have to help keep her focused and rescue her from one of these guys who stalked her. It has been a shocking reading. We know Dani, a normal girl who suffers anxiety attacks that make her feel insecure at all times. We see how during his last year of university he has to go through numerous situations that will make his stress and anxiety soar but also as he struggles not to let life control him. With a dysfunctional family that is more of a burden than a support, a stalker and loyal friends will have to face that year and overcome it along with their fears. I love how the author l It has been a shocking reading. I voluntarily reviewed an This is most definitely not your run of the mill romantic suspense novel. The narrative method of story telling makes this feel more personal, and provides the reader with the opportunity to really forge a connection with Dani. As a result, this is elevated from a diary-like tale, to something deeper and more complex. From the moment I read that title of this book, I wanted to read it! This is one of those books you can't stop reading! I loved the writing and the characters. I think everyone can relate to Dani, regardless of age. This book is faced paced and definitely kept me on my toes! This book is a perfect read for anyone who likes romance and suspense! “Twelve Months of Awkward Moments” is a journal, of sorts, of the inner workings of Dani’s mind and heart as she accepts the challenge issued by her therapist. This story and the emotions of the main character seem close to many people. The main character is an introvert girl with a difficult life situation. The story begins that a young girl who has to return to college after the summer holidays, but she is nervous and her doctor Sandra helps her in this - listens attentively. She as a real friend tries to support Dani, finds different ways to solve the problem. I have noted how the author accurately conveys the feelings of each child before the beginn This story and the emotions of the main character seem close to many people. The main character is an introvert girl with a difficult life situation. The story begins that a young girl who has to return to college after the summer holidays, but she is nervous and her doctor Sandra helps her in this - listens attentively. She as a real friend tries to support Dani, finds different ways to solve the problem. I have noted how the author accurately conveys the feelings of each child before the beginning of the academic year, so the reader can recall his young years, which makes reading even more appealing. Despite the fear of being rejected, Deni tries to change her life step by step, meeting new people and changing her behavior, and in the end she meets a person, but the end is unpredictable! The main character wakes up her former state of mind and acts like no one expected. I was surprised. I read this book with pleasure and I advise everyone to experience all these emotions that the main character faced. Thanks to everyone who read and reviewed. This was a very personal story in many ways. Lisa Acerbo loves to read, write, drink coffee and wine, and rescue foster dogs. Her new book, Twelve Months of Awkward Moments, is due out August 2018 from Torrid Press. She writes under the pen name Dakota Star. The Sweet Life, published under her pen name by Limitless Press, is due out April 2018.